SHAW, Christine, Barons and Castellans: The Military Nobility of Renaissance Italy, Leiden: Brill, 2015, 292 p., il. ISBN 9789004282759. The military nobility –”signori di castelli”, lords of castles– formed an important component of the society of Renaissance Italy, although they have often been disregarded by historians, or treated as an anomaly. 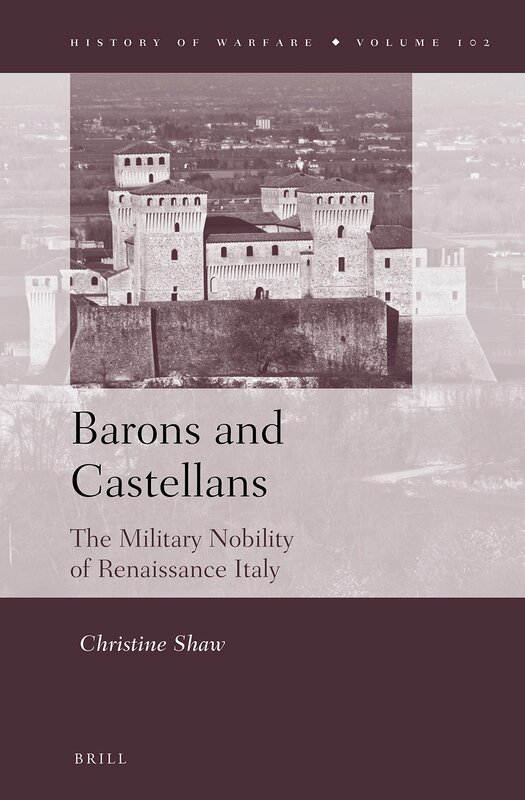 In Barons and Castellans: The Military Nobility of Renaissance Italy, Christine Shaw provides the first comparative study of “lords of castles”, great and small, throughout Italy, examining their military and political significance, and how their roles changed during the Italian Wars. Her main focus is on their military resources and how they deployed them in public and private wars, in pursuit of their own interests and in the service of others, and on how their military weight affected their political standing and influence (Font: Brill).